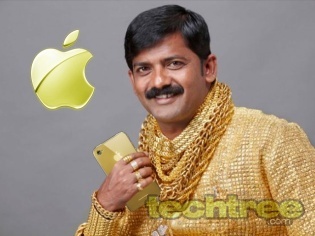 Home » Mobiles » Reliance and Airtel To Offer iPhone 5S/5C At Obscene Prices? Reliance and Airtel To Offer iPhone 5S/5C At Obscene Prices? You'd better have deep pockets. "Only deep pockets may apply". Reliance Communications and Bharti Airtel are to offer iPhone 5S and 5C on 1st November for an obscene rate of Rs 54,000 and Rs 42,000 respectively, if reports are to be believed. Rather than the usual delays of launching it's products by late in India, Apple seems eager to cash in on the Diwali, which will be here on 3rd November this year. For those with a penchant for blowing huge amounts of money for the Succubus-like phone (or Incubus-like depending on your gender) will be disappointed — pre-booking hasn't started as yet. Those who still have some grey cells intact can check your local grey market for better rates (iPhone 5C is selling around Rs 37,000). While the rest who are still sane can aspire for Nokia 1020 which actually features something a lot more useful than a fingerprint scanner with Gold slapped on.